It sounds to be a problem for the reader to define the list of scoping keywords that the authorisation server deals in. Combinations of keywords (ie unordered) define the “access range” of each request and you could say “medications read” or “read-write medications” or “medications allergies conditions read-write” or possibly “medications allergies conditions read write” etc (following Grahame’s ideas). And your affinity domain or community might agree that at least one of “read” or “write” is required per request and that one of “medications” and “allergies” etc is required (or maybe there are defaults). And a request for access to especially confidential information might include another keyword, such as “confidential” or “break-glass”. There’s a bit to be figured out here. Will FHIR itself have anything to say about the matter? 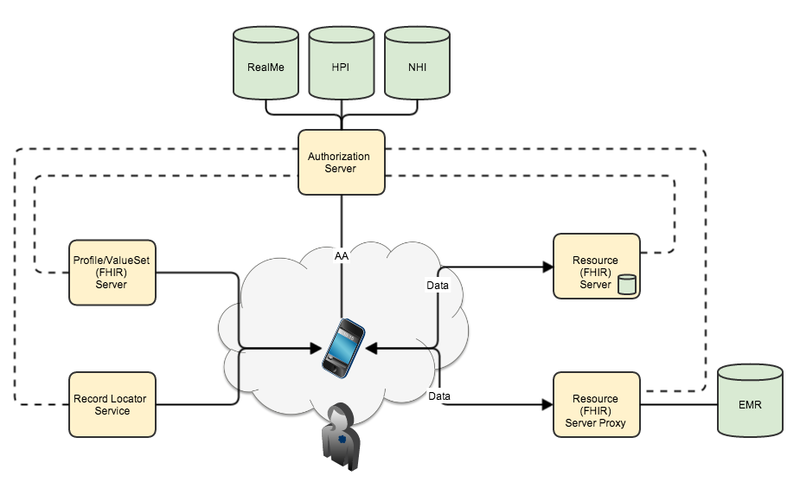 One problem of the OAuth2 protocol is that it seem to assume that the resource owner is the same as the end user. When patient is accessing his own EHR data, then there will be no restrictions on what he/she can read (at least here in Norway). But, when the user is a health care worker, then consent given (or not given) by patient must be obeyed. As far as I can see, the authorization part, i.e. what a health care work can do with a patient’s EHR data (resource), must be decoupled. I think XACML and IHE Secure Retrieve (SeR) draft is the way to go. Thanks for your comment – I’ll let others more knowledgeable about security matters comment on those standards! But as a point of clarification, are you suggesting replacing OAuth2 altogether for clinical access, or continuing to use it for Authenticating to the system, and the other standards for Authorization? OAuth2 is definitely important for authentication (and federation) scenarios, but is not solving the authorization issues in health care ICT (at least in Norway).